Developing new themes and plugins for WordPress is a lot of fun. But before you ship your product, you need to test it to make sure everything works perfectly. Generating data to test your theme or plugin is going to be much easier when you have a plugin such as FakerPress to rely on. This plugin creates custom data for developers and saves them some time in the process. FakerPress creates dummy content for your website, so you don’t have to do it the hard way. You will also be able to delete the content generated quickly. 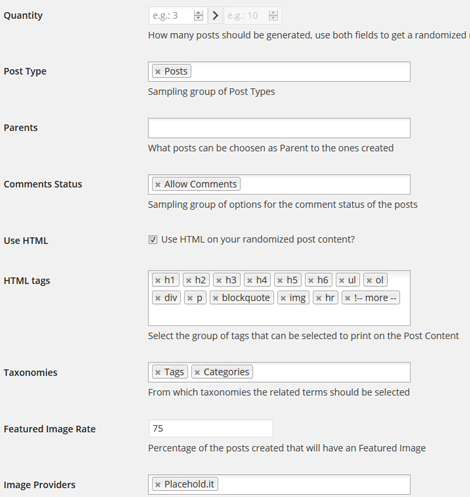 Whether you want to generate new users, posts, custom posts types, and comments, this plugin has you covered. You can choose the quantity for fake items and change type, image provider, tags, and other settings from the back-end. FakerPress simply generates fake data for your website to allow you to test your theme or plugin and catch bugs faster. You can try the plugin for free.